Two in five Internet users in the United States now have high-speed access at home as telephone companies slash prices to better compete with cable broadband services, a study says. In a report Sunday, the Pew Internet and American Life Project placed the adult residential broadband population at 48 million, or one-quarter of all adult Americans. Among college-educated adults age 35 and younger, penetration has reached 52 percent. 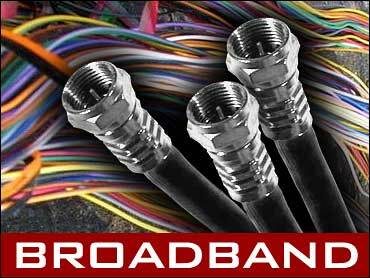 Most of the growth has been since November from connections over souped-up phone lines called DSL, which now make up 42 percent of the home broadband market, up from 28 percent in March 2003. Cable modems still have the lead, with a market share of 54 percent, but they no longer enjoy a 2-to-1 edge. The increase counters Pew's findings from last spring suggesting that the broadband market had begun to stabilize. That study found fewer Internet veterans wishing to upgrade their dial-up lines. But broadband fees have dropped since then, with DSL available in some markets late last year for just a few dollars more than dial-up. Although only 3 percent of home broadband users cited affordable pricing as the reason for switching, price has an indirect effect. "People don't buy it because the price is too high, but when the price is lower and closer to dial-up, you have more people convert over" even if they cite other reasons for switching, said Dave Burstein, editor of the online newsletter DSL Prime. Major dial-up services typically cost $22 to $24 a month. SBC Communications Inc. dropped DSL service to as low as $27 and Verizon Communications Inc. to $35, Burstein said. Although he said DSL prices have begun to inch back up, especially with new surcharges added to regular monthly fees, DSL remains cheaper than cable, which typically goes for about $45. John Horrigan, Pew's senior research specialist, said Americans are increasingly making a "time is money" calculation: If they are spending more time online, they find savings from high-speed connections even if they must pay a little more. "People turn to broadband over time as they expand the menu of online activities they do," Horrigan said. According to the study, 36 percent of home broadband users said they switched because their dial-up connection was too slow or frustrating. Twenty-one percent said they wanted to download files faster, and 10 percent needed it for job-related tasks. As of February, 39 percent of U.S. Internet users have broadband access at home, compared with 31 percent in November and 27 percent last March. The February survey found 55 percent have broadband at either home or work. The numbers are consistent with a Nielsen/NetRatings study, released Friday, showing 42 percent of home users in March connected through broadband, while 77 percent of users in the workplace have high-speed lines. Pew found geographic disparities in high-speed access. Ten percent of rural Americans have broadband at home, compared with 28 percent of those living in urban or suburban areas. The telephone-based survey of 2,204 adult Americans, including 1,371 Internet users, was conducted in February and has a margin of sampling error of plus or minus 2 percentage points, higher for subgroups.